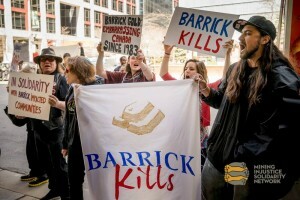 This company is responsible for the deaths, rapes, and abuse of people who have the misfortune of living next to their mines, and the destruction of these peoples’ environments. 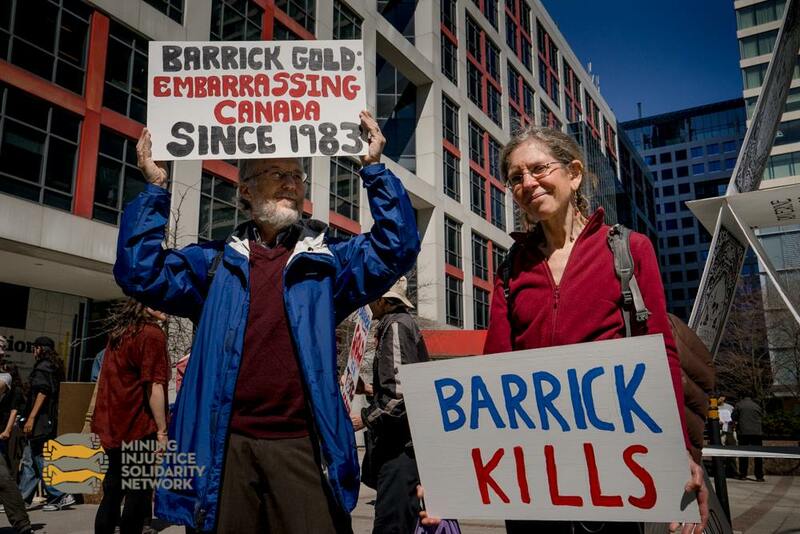 Meanwhile, Barrick’s Advisory board and board of directors includes some of the most prominent and corrupt political figures of our time. 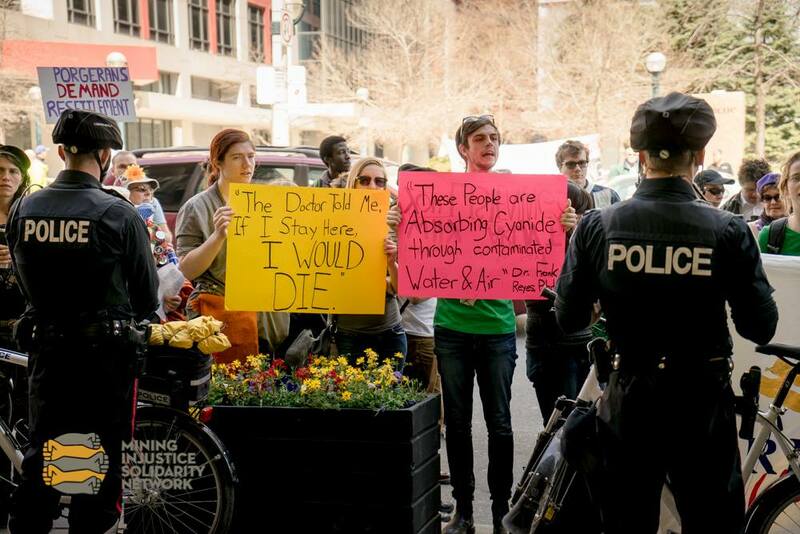 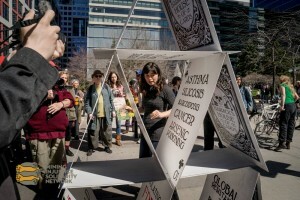 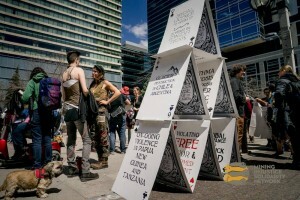 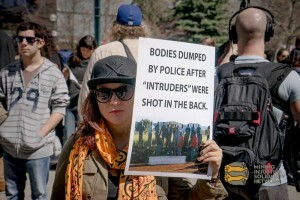 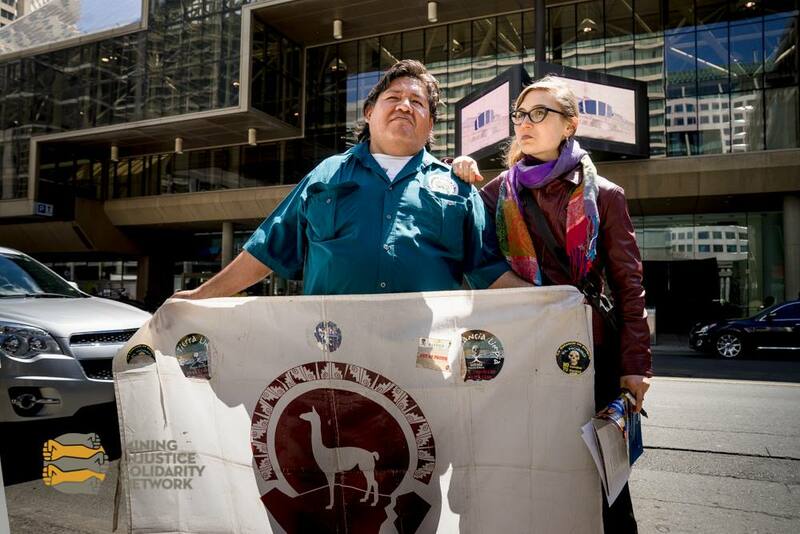 Over 150 people rallying outside the Metro Toronto Convention Centre were joined by Jethro Tulin, executive officer of the Akali Tange Association and Porgera Alliance. 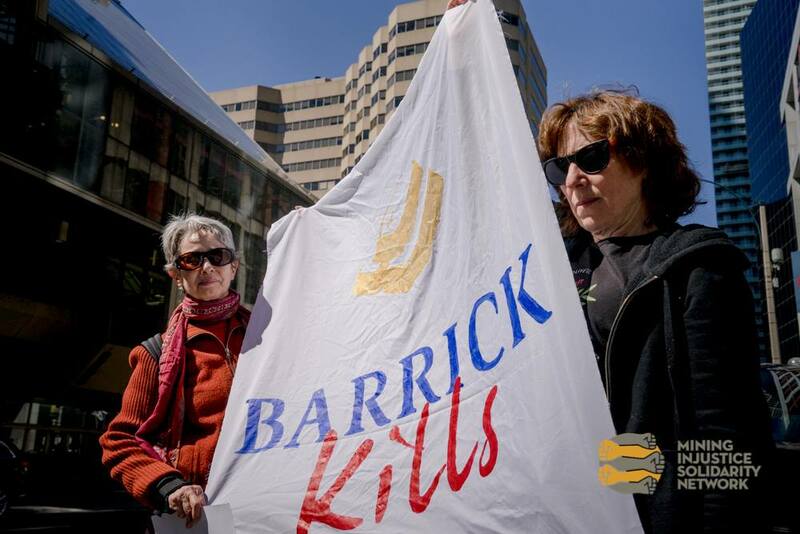 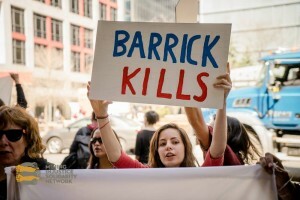 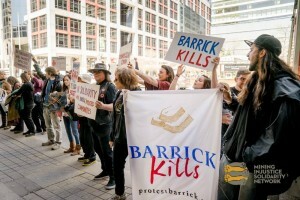 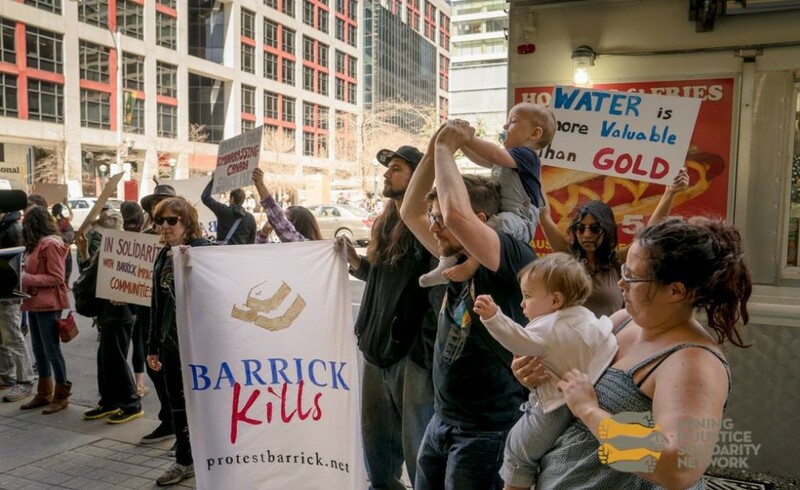 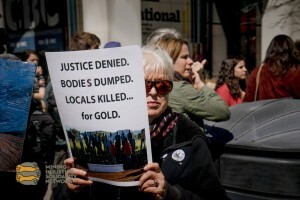 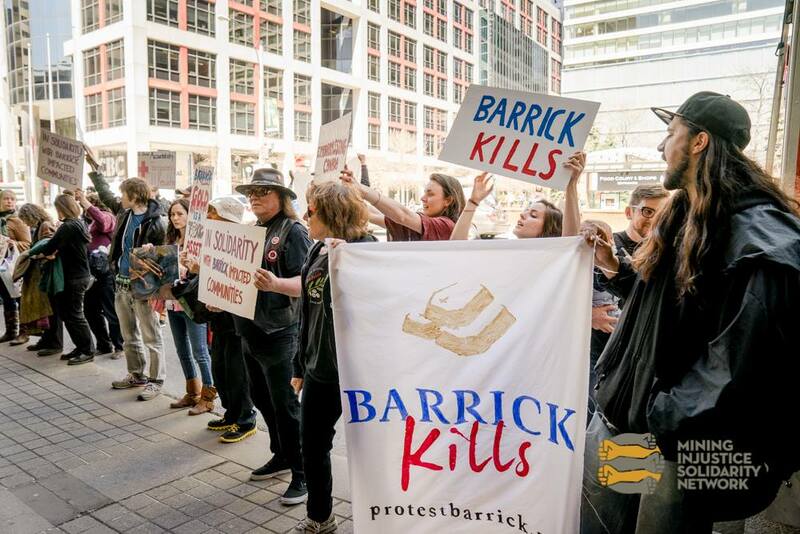 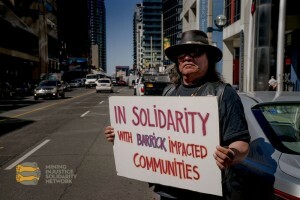 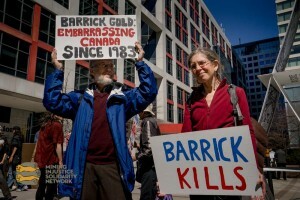 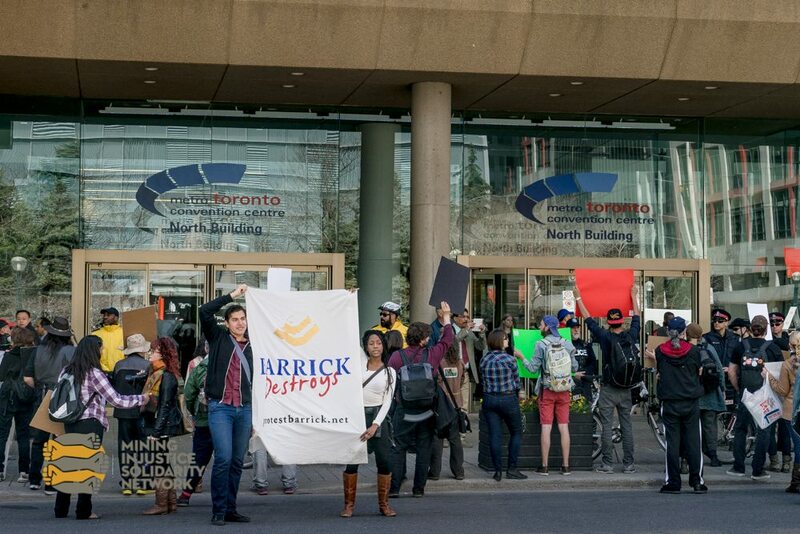 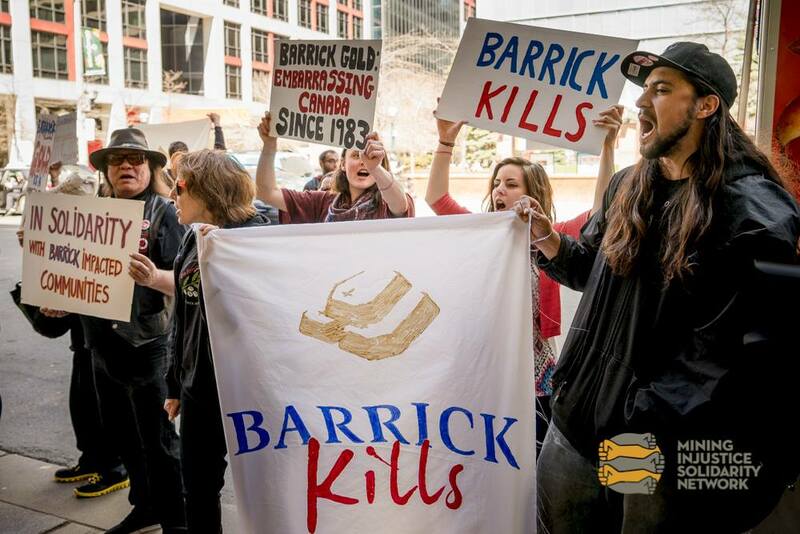 For the past decade, Jethro has been leading an international campaign against Barrick for killings and rapes by mine security. 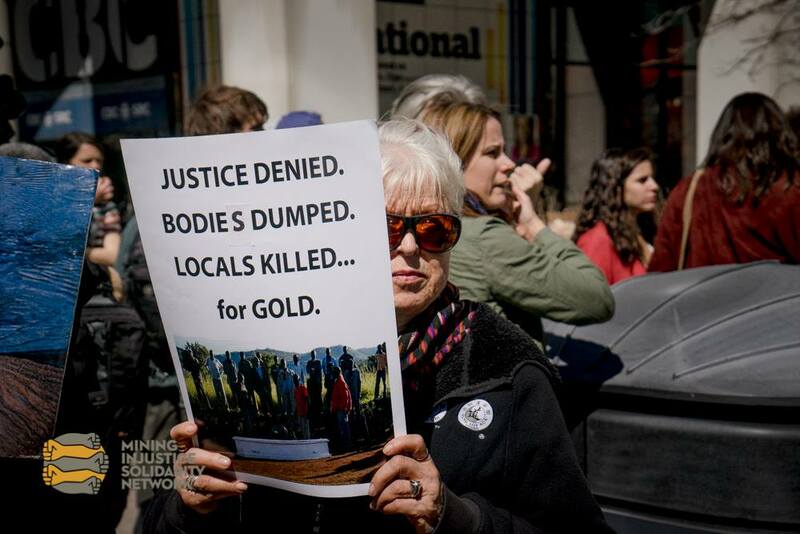 Just this month, his groups teamed up with US-based lawfirm EarthRights International to win fair compensation for 14 victims of abuse at the mine. 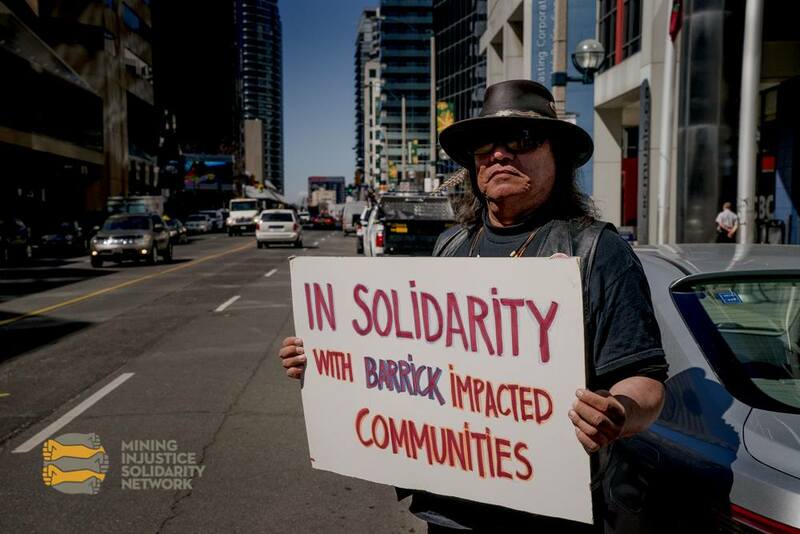 But their struggle continues, as there are far more victims and the community seeks the long-term solution of resettlement. 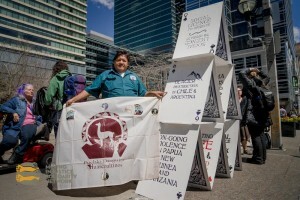 We were also joined by Sergio Campusano, the president of the Diaguita Huascoaltinos in Northern Chile. 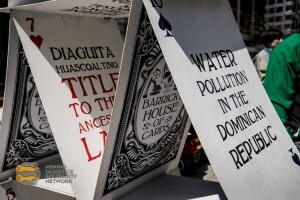 His community has taken Chile to the InterAmerican Commission for Human Rights for violating their self-determination in permitting Barrick’s Pascua Lama mine.